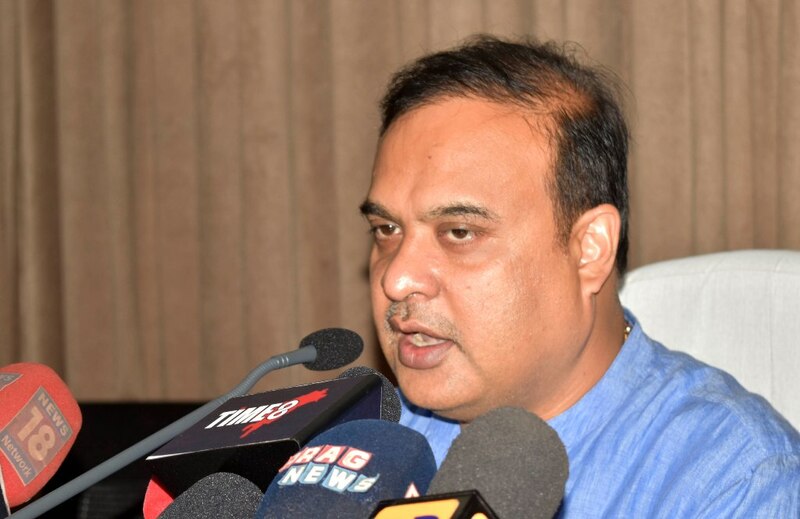 Two State health department employees– Fakaruddin Ali and Paban Ali—were arrested on Friday for allegedly hatching a plot to assassinate Health minister Himanta Biswa Sarma. 42-year-old Fakaruddin and 42-year-old Paban of Alikakh village under Hajo police station in Kamrup district were sent to 14-day judicial custody later in the day. Police officials said the duo had allegedly sent SMSes to the cell phones of four state Congress leaders – former Chief Minister Tarun Gogoi, former Forest and Environment minister Rakibul Hussain, PCC president Ripun Bora and Dulu Ahmed, who unsuccessfully contested the last Assembly polls from Hajo on a Congress ticket, – offering to kill Sarma for Rs 5 crore. Police have seized the mobile phone of Fakaruddin, a grade IV employee of Gauhati Medical College and Hospital. Paban is posted in the health department office, Dibrugarh. A case was registered in this connection at the Hajo Police Station under sections 120 B, 507, 307 and 34 of the Indian Penal Code, said a top police official. The State Finance Minister is currently provided Z-category security cover. Congress party sources, meanwhile, said that immediately after receipt of the SMSes, the matter was intimated to the Director General of Police for necessary action. Sarma, who switched from Congress to BJP in 2015, alleged the two were Congress members he once knew, and wondered how they had got Gogoi’s personal number. “Even I, as minister in the Tarun Gogoi government, didn’t have his personal mobile number,” he said.